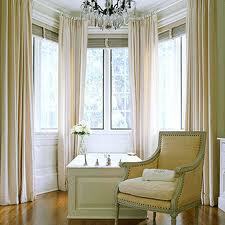 Are you looking for types of curtain rods that will make your window area look rich and elegant? CurtainRod.blogspot.com is a good source of information online. One of the things that contribute to the beauty of our window area are the curtain rods. But what do you think is the best curtain rod suitable for your window? Below is the list for your reference. Magnetic curtain rod is a type of curtain rods that are suitable for windows and doors with metal frame or made of metal. The installation is so easy and doesn't require drilling machine, screws, etc. You just simply put this rod to the location where you want it in place and that's it. It only takes one minute or two for the installation. Standard curtain rod is normally made of aluminum. Its weight is light and once installed together with curtain, it will no longer be seen. This rod comes in various lengths and widths and it is installed on two simple plates with hooks on it. 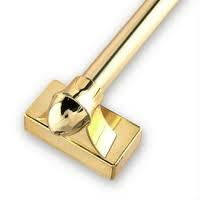 Spring curtain rod, also known as tension rod, is usually installed in between two walls and the process is so easy. This comes in various sizes, colors, and designs. Inside the pole is a spring that pushes toward the ends to hold the rod in place wherein you can adjust the size. Traverse rod is another type of curtain rods wherein it has a built-in rope and hangers. This curtain rod was designed this way so that when the rope is pulled at the side, the curtain will open or will be closed when pulled in reverse direction. Usually, this rod is made so sturdy since the curtains that are being hang on this are normally thick fabric or heavy curtains. Double curtain rods are two curtain rods that can hang two different curtains at the same time. This provides an elegant look to your window. The inner curtain to be hung is normally made of thin fabric to allow some light to pass through. However, the main curtain is made of thick fabric with artistic decoration to provide a beautiful look to your window area. 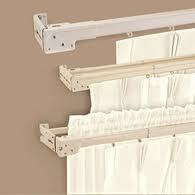 See below photo of double curtain rods. 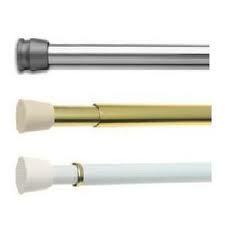 Bay window curtain rods are only used for bay windows. This kind of rod is so easy to find since there are many websites available online that offer this. This also comes with various designs, colors, sizes and styles that will definitely fit with your requirements. 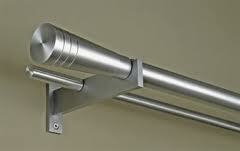 Here you will find information about different types of curtain rods. Thanks for dropping by. Have a nice day!